A consortium of South Korea’s train manufacturer Hyundai Rotem, Taiwan’s construction company BES Engineering and Siemens will deliver, on a turnkey basis, the electrical and mechanical solutions for the Green Line metro in the city of Taoyuan, in Taiwan. 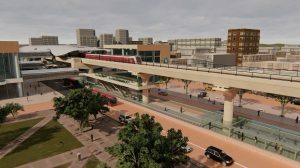 The Green Line will be 27.8 kilometers long and will have 21 stations. It will link to Taoyuan International Airport. Around 12.5 kilometers of the line will be underground and roughly 15.3 kilometers elevated. Siemens’ share of the project comprises the Trainguard MT CBTC system, traction drives for the trains and the direct-current traction power supply. The metro line’s signaling system will enable unattended train operation (Grade of Automation 4). Construction of its elevated section will start in October this year, announced Chen Wen De, Director General of the Department of Rapid Transit Systems at the Taoyuan City Government. Headways of 90 seconds or less will be achieved with moving block operation, combined with continuous bidirectional radio communication. 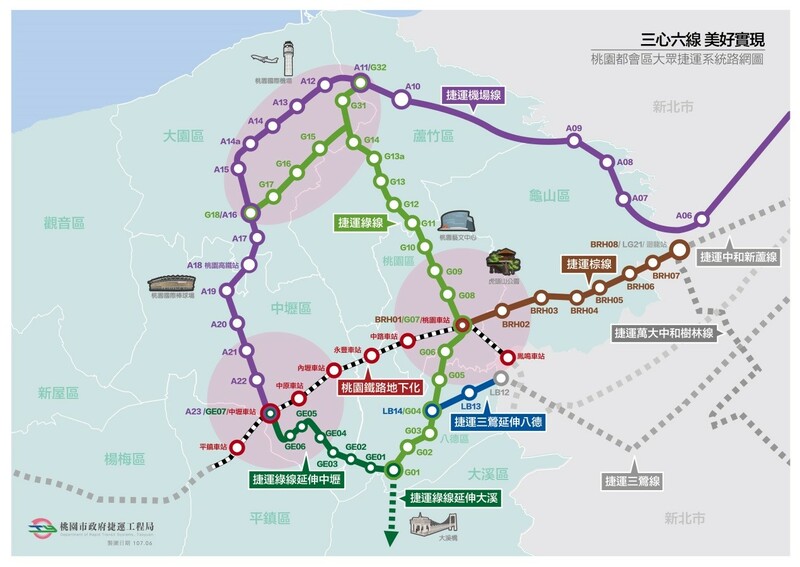 Two line extensions, to Daxi with three stations and to Chungli with seven stations, are planned.